16 years seems a long time to dedicate oneself to the pursuit of a single colour, but in the case of Portia Munson, who first displayed her spectacular Pink Project as part of the New Museum’s Bad Girls exhibition in 1994, it has become a lifelong quest. Simply put, the piece sees an enormous assemble of found objects in every imaginable shade of pink, from candy floss and baby through to fuchsia and back again, placed on a table. Seen for oneself, however, it’s truly remarkable. 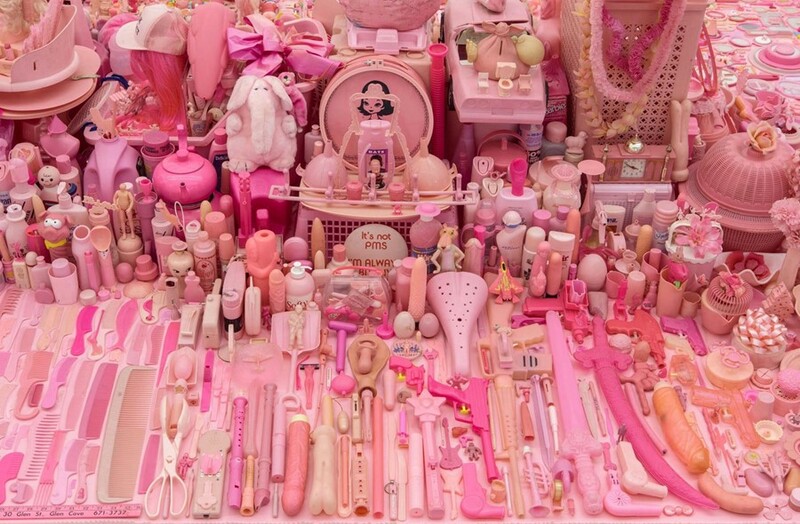 “Each iteration of the work has revealed the marketing of femininity and the infantilisation of the female gender while also exploring the culturally loaded colour pink and its continued societal projection onto girls and women,” the artist’s website explains. In which case, long may it continue. 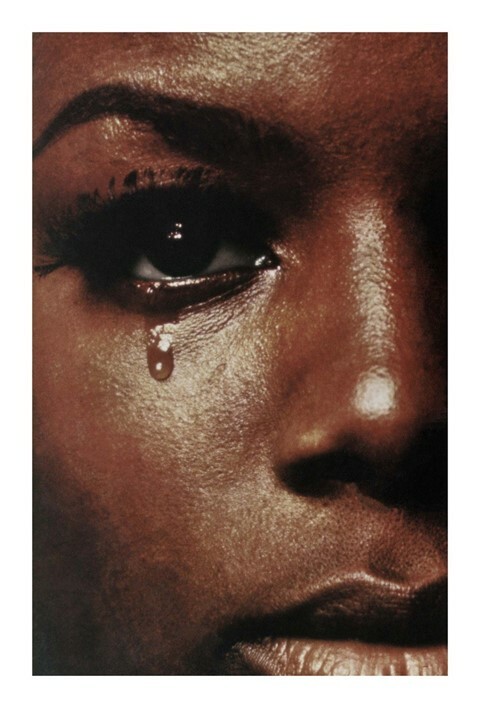 Anne Collier, Woman Crying No.2, 2016Courtesy of Modern Institute/Toby Webster Ltd.
Those familiar with American artist Anne Collier’s Woman With a Camera series will already know the pang of familiarity which strikes upon coming face to face with one of her works, and The Modern Institute’s stand at Frieze, where a selection of her pieces hang large and arresting, is a particularly good example. Collier has made the manipulation of found imagery her bread and butter – isolating, collaging and re-photographing cuttings she comes across in her everyday life to create a complex subversion of the viewer/subject relationship. By removing images from their accepted contexts – the pages of a magazine, for example, or a book or album cover – and blowing them up to hang in a pristine white studio, or to shoot as part of a still life, Collier swiftly denounces the accepted subtexts of photography, raising questions around consumerism and gender politics. We were particularly taken with the striking poignancy of Woman Crying No. 2 – an interest which, in itself, raises tricky questions about society's objectification of vulnerable women. It’s hard to articulate the pure, unadulterated pleasure which comes from seeing a pristine dining table, fully laden with breakfast, lunch, or supper, suspended from the wall as though there were no such thing as gravity. Passers-by flock to it, enchanted, phones outstretched and mouths hanging open. 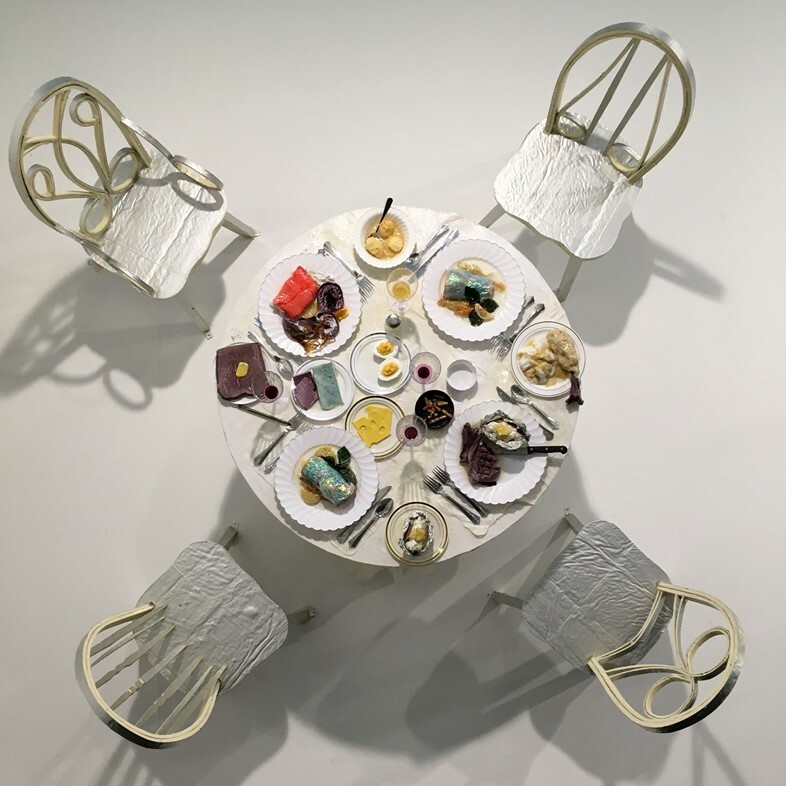 LA-based Samara Golden is the sculptor responsible for such a display, in the form of Missing Pieces From A Fall of Corners #4, the most recent in a long line of dining-based installations intended to wreak havoc with our expectations of perception, on display at Frieze this weekend. Heavily reminiscent of the laughing scene in Mary Poppins, it’s perhaps not the most saleable work, but without a doubt one of the most joyful. 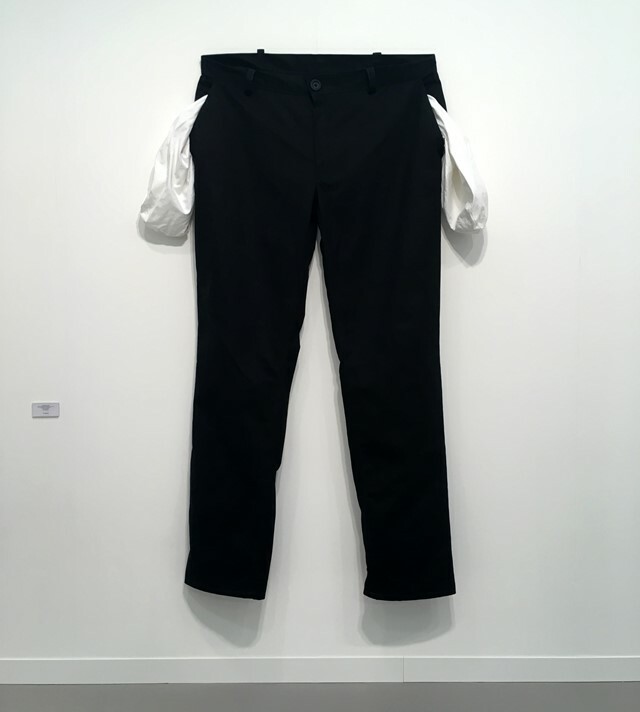 No corner of Frieze Art Fair's extensive set-up goes unaffected by contemporary art. Don't believe us? Deep inside the Ladies and Gents of Block H, we found the fabulous Julie Verhoeven doing a fine job as a toilet attendant for her bathroom-based installation Now Wash Your Hands. 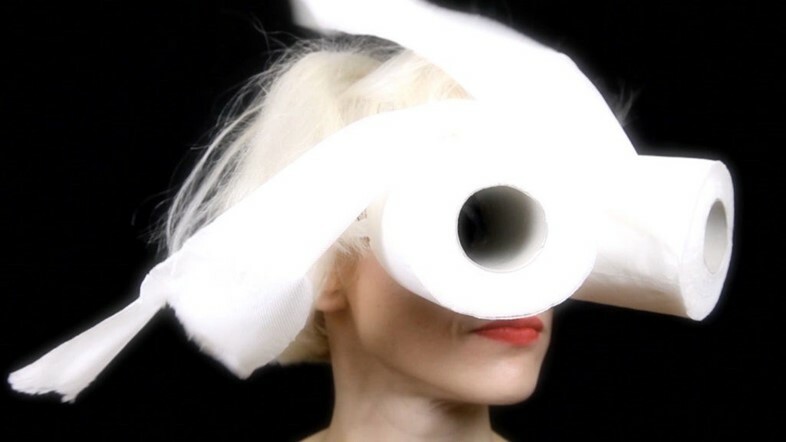 In a chequered monochrome dress (complete with frilled bonnet, rubber clogs and large ‘Julie’ badge), the London-based artist tended to visitors in a jovial manner, handing them small paper towels while they marvelled at the customised toilet seats and louche illustrations which scaled the sinks. With longstanding companies come grand opportunities to make new things, which puts Ruinart, the oldest established champagne house (it has been producing the magical tipple in Reims since 1729) in a very privileged position. Every year, the house invites an artist working in a different discipline to create a series of works inspired by its enduring legacy. In the case of Erwin Olaf, a photographer who has long been producing elaborate scenes using models, make-up artists, extravagant lighting and sets, and who was selected for this year’s series, that came in the form of venturing underground. Literally. Olaf was already a day and a half into working on his usual elaborate photoshoot when, feeling that something was amiss, he decided to go for a walk around the Ruinart grounds. He soon stumbled across its chalk caves, magnificent structures excavated as many as 800 years ago (originally to create building materials), which have since been repurposed as storage for their champagne. 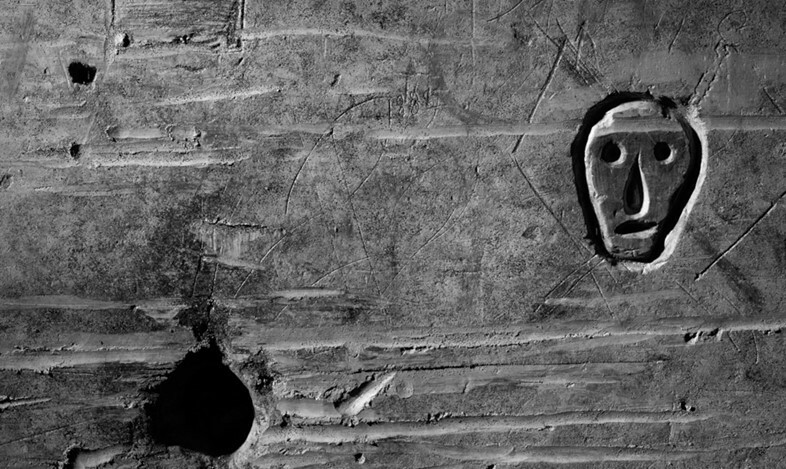 He began snapping photographs of the walls, which were adorned with images not dissimilar from ancient cave paintings, creating works curiously reminiscent of historical artefacts. Under his lens they also, however, contain references to contemporary artists: “I tried to do Rothko, a little bit,” Olaf tells us, gesturing at one image of a wall bearing deep stripes, “and a joke about Damien Hirst,” of another which looks remarkably like the British artist’s spot paintings. 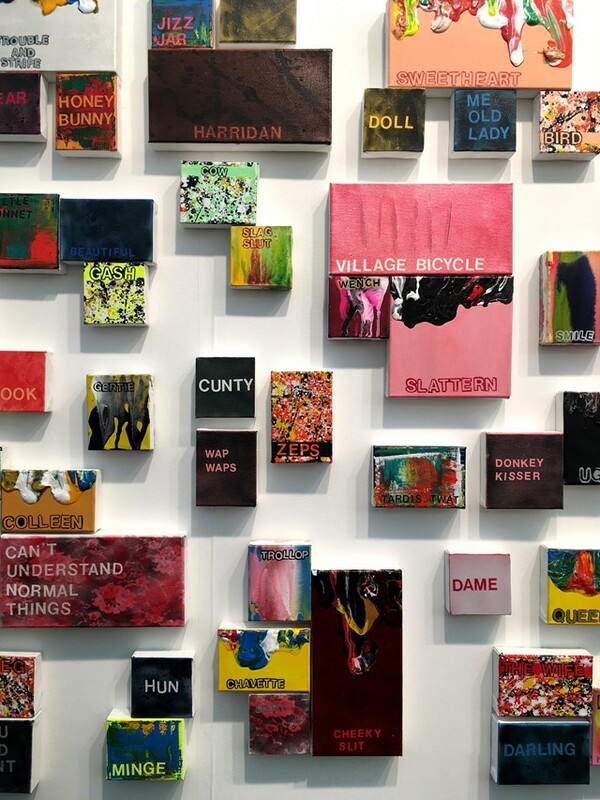 What better collection, then, to show at the world’s leading contemporary art fair? Far be it from us to admire all manner of installation and sculptural artwork on display at Frieze while overlooking the capacity of paint to capture the most profound feeling. 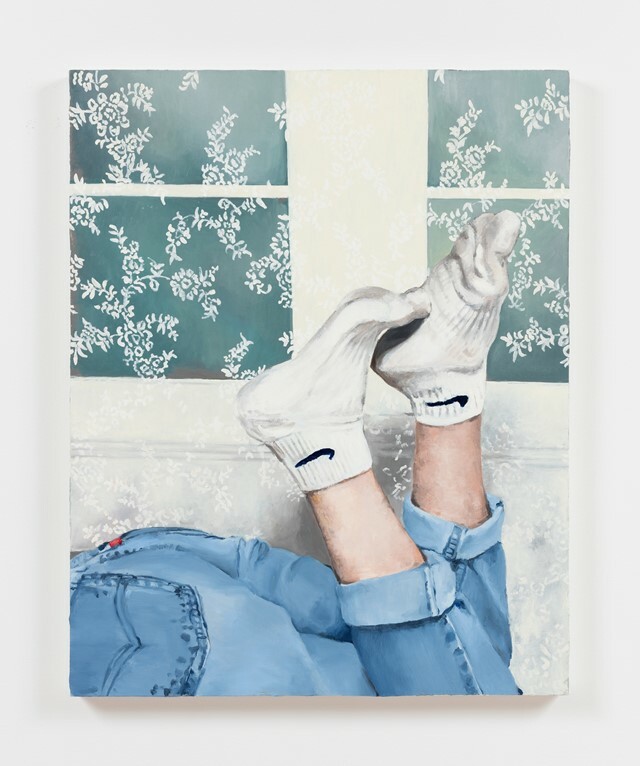 Nolan Simon’s poetic work, entitled Larger Socks, presented a welcome moment of calm in the bustling fair, permitting viewers a moment of reflection amidst flashing lights and personal hygiene-focused fun (ahem, Julie Verhoeven). Simon niftily reappropriates all of the quiet boredom and frustrated angst of teenage life – the waiting for a reply on MSN Messenger, or hanging around the school gates hoping to bump into a crush, or scrawling lines of emotion-fuelled fury in a battered, padlocked diary – into one simple image. The result is quite captivating. No, this isn’t just a pair of extremely large trousers. It is, in fact, an extremely large sculpture by Los Angeles-based artist Amanda Ross-Ho, whose intuitive practice is driven by the exploration of modern detritus – the remnants of everyday existence. From photographic scans of drug paraphernalia to projected paintings of lace doilies, sculptures of empty candy dishes and the aforementioned garb, Ross-Ho painstakingly examines familiar objects and their relationship to her past and present in order to truly understand them. These days Belgian-born Carsten Höller is perhaps best known for his superlative slides, which spiral down various buildings of importance – including Miuccia Prada’s office in Milan and London’s own Olympic Park Orbit Tower. But, back in the 1990s, when his work was first coming into prominence, he was experimenting on a much smaller, but no less impressive scale. 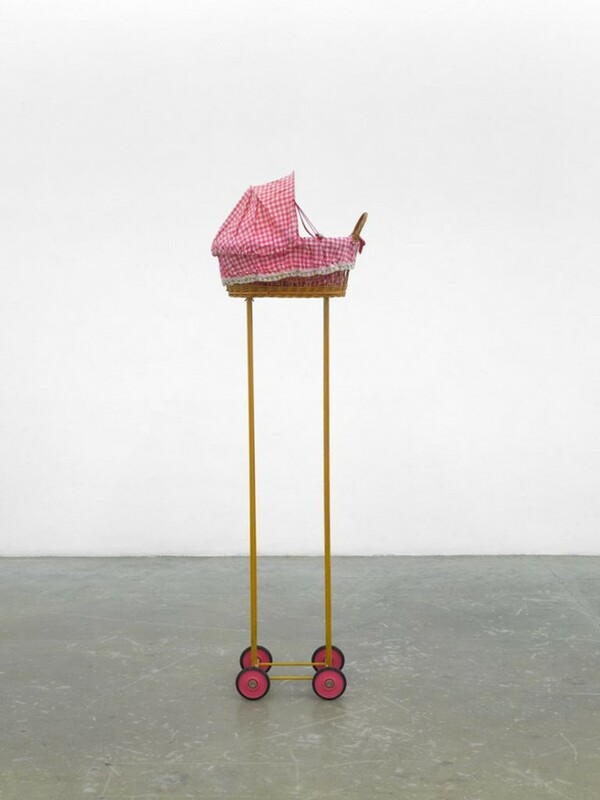 The above work, Landau (Perambulator) (1990), a small red and white pram with over-extended spindly legs, playfully invites the viewer to question the perception of its form – and begs for interaction – two themes that have continued to pervade his wistful, experimental works. Frieze Art Fair London runs until October 9, 2016.